A striking memory I retain from my experience studying abroad in Austria during the academic year 2008-2009 is the purity of nature throughout the country. I recall deep rivers that were literally crystal clear, as if poured from a tap. I was impressed by the emphasis placed on recycling in the dorm and at the university, and the way my fellow Austrian students reused items. I recall a claim on an advertisement stating that the bus fleet in Vienna was (paraphrased and translated) “the most environmentally friendly in the world”, before I recall being aware of a high emphasis being placed on green campaigns for transportation systems in my area of the United States. Being exposed in Europe to much environmental rhetoric, I was also sometimes exposed to accusations from Europeans about America’s reputation for not practicing environmentally friendly techniques. Hearing emphasis regularly placed on being environmentally friendly, and the promotion of this as a highly esteemed value, I thus came home with an impression, and a bit of uncomfortable embarrassment, that Americans might not be as concerned with the environment as our European colleagues. At a local level in the United States, I saw this understanding emphasized by the large cars on American roads, the lack of convenient recycling programs in many localities, and the glaring lack of crystal clear streams. Yet after a stimulating presentation on October 7, 2011 by Professor Robert Pahre in the EU Center’s EURO 596 course, it seems I too may have adopted a stereotypical and polarized view of the United States and the European Union. In the end, through listening to Professor Pahre, I gained reinforcement of a broad life lesson beyond a better understanding of environmental policies in Europe and America. In Professor Pahre’s lecture, and as discussed by Alberta Sbragia in “Environmental Policy: Economic Constraints and External Pressures”—a chapter in Policy-Making in the European Union, edited by Helen Wallace and William Wallace and published by Oxford University Press—it became clear that environmental policies differ between the local levels and the central government level. I also learned that local interest in environmental concerns does not always translate into strong and clear measures on environmental policy by the central government, and strong interest in environmental policy within the central government does not always mean that it will be important at a local level. While Professor Pahre described the US system as delivering long term, positive success in environmental policies, such as preserving national parks, he also explained that emphasis on the environment was not an initial goal of the EU and thus the EU often lacks a central agency by which to control environmental policies. In the European Union today, it apparently is often unclear which branch should decide or oversee environmental decisions and when these decisions should be made (Pahre, lecture), and different environmental goals among member states often muddle implementation of policies made in Brussels (Sbragia, 305). Having held the view that environmental issues were important in Europe, this confusion and disagreement that apparently accompanies environmental policies in the EU surprised me. During my time abroad, I had assumed that if environmental factors were so important at a local level in European nations, they would surely be strongly supported and accepted within the EU level as well. What I learned instead, from Pahre’s lecture, was that the image and separation that I had clearly outlined in my head, could actually be a dangerous stereotype of all of Europe and America as two clearly separate groups. I realized that I had only seen part of the European picture in my Austrian experiences. As Sbragia mentions, Austria is a country known for its “high environmental standards” (p. 297), as I saw manifested in my personal experiences in the country. Considering images I saw, such as that pictured above, it is clear why Austrians would want to preserve the beautiful natural landscape entrusted to them. But judging from examples presented in Professor Pahre’s lecture and the Sbragia chapter, it appears that not all member states of the EU have these same environmental standards. Pondering this fact, I then began considering my experiences in the Untied States. Upon asking Professor Pahre about the differences I noticed between the United States and Europe, I gained an answer that caused me more thought. Professor Pahre’s answer was that, as Americans, we do also experience a similar variation of emphasis on environmental policy among areas in the United States, with perhaps more national policy being directed and emphasized in the Western states, due to the larger areas of land there. With our stronger central policies, as discussed by Sbragia and also by Pahre, it becomes clear that Americans do have some clear standards in place for environmental work. Pahre continued by adding that we in the Midwest may not have a clear sense of the strong role that environmental policies play in these Western states, because so much of our news is written from the view of those in the Eastern states, where environmental policies may not be as numerous, due to the smaller land mass in the Eastern states (Pahre, lecture). Thus, it appears that my understanding of American environmental policy again was strongly affected by my judgment based on experiences in one particular place, among one particular group of people. Whether or not the environmental policies in one part of the world or another are correct or better than the other, I was reminded that day, perhaps more importantly, of an even broader lesson that is crucial in the study of any group of people. In class I was reminded again of the danger of stereotyping a group of people into one definition, and that neither the people and governments residing in the member states of the European Union, nor those in the states of the United States can be considered to be identical in opinion. I was reminded again that, though enjoying similarities, the European Union and the United States are not identical to each other, and cannot always be compared. Instead one should enjoy proudly the varied historic, geographic and demographic processes that have created both the United States and European Union to be what they are today. Finally, I was reminded that, ironically, when considering human relations, it might actually be best to avoid that “crystal clear” stereotypical grouping of people and instead accept the beautiful, muddied waters of individual variation. Listen to the latest Illinois International Podcast, in which Northwestern Postdoctoral Researcher and Middle East Historian Claudia Gazzini, on campus earlier this month for a panel on the Libyan Revolution, discusses the future of the North African nation after the death of long-time leader Muammar Gaddafi. Gazzini also talks about the impact of the Libyan Revolution on the African continent as a whole with moderator Nicole Tami. You can listen to the podcast here, or you can visit the Illinois International podcasts page. The European Union and the United States are two of the most important players on the global scene, representing one of the most significant bilateral relationships in the world. Together, they encompass over 800 million people, which is 12% of the global population. Close transatlantic relations between Europe and America go back a long way, and still today they share common values and maintain close cultural, economic, social and political ties. This web-documentary investigates the three main pillars of EU US relations: economic ties, joint foreign and security actions and global challenges. It has been designed as a one-stop shop where you can find all the necessary information to gain an insight into the sheer breadth and depth of EU US relation. View the documentary, available from the EU Delegation. On November 4, 2011, University of Illinois Professor Zsuzsanna Fagyal gave a talk about multilingual policy in Europe. This topic has caught my attention as of late, fascinated as I am with the extreme plurality of languages currently represented in the EU. Dr. Fagyal—herself multilingual with native or near-native proficiency in French, Hungarian, and English, and fluency or reading knowledge of Russian, German, Italian, Latin, and Romanian—covered the basics of European multilingualism well. Twenty-seven EU member states with twenty-three “official” languages, along with dozens of regional, minority and migrant languages: how does Europe do it? In the States, we tend to take for granted that we can travel 3,000 miles from New York to L.A. without any serious communication problems. Every road sign along the way is in English, every gas station sells food and drinks with English labels, and every restaurant has menus printed in English (or, if you’ve chosen a “high society” establishment, the waiters politely let you know in English why your 10-year old son may want to re-consider that escargot he ordered…). Now, I may be making some assumptions here, as I’ve never actually realized the cross-country road trip of my high school dreams. But the fact remains: in America, English is the lingua franca ad infinitum. However, in the summer of 2010, I took a comparable trip through Western Europe. The story across the pond was quite different. One Friday afternoon, after Portuguese classes at the Universidade de Lisboa, I boarded a Ryan Air flight and said “adeus” to Lisbon for the weekend. One suco and a bag of peanuts later, I touched down in [beautiful] London Heathrow. Once I figured out what “WC” meant, I passed through customs and headed to grab dinner with my friend for the evening. Early the next morning, we boarded the Chunnel train to Paris. Arriving that afternoon tired and hungry with only a few hours to spend in la Ville-Lumière, we decided to forego the traditional trip to la Tour Eiffel in favor of some local hors-d'œuvres and a fresh baguette. Our 6 pm train would reach Barcelona, the Català-speaking capital of the world, in the morning. Finally feeling ready to dust off some of my rusty Castellano Spanish with the mostly bilingual natives, we spent the next morning on Las Ramblas watching the dressed-up callejeros perform for spare change. After a quick walk to the platja to smell the warm Mediterrànea, we were off to Madrid. By this point, my monolingual friend was happily lost in a sea of languages, his English almost completely useless for the last 48 hours. Our last stop would take us back to Lisbon in the morning, La Cidade de Sete Colinas—four days, four nations and five tongues later. The trip from London to Lisbon was approximately 1,700 miles, the same distance from Chicago to Phoenix. With this in mind, I return to my question: How does Europe do it? In the face of so many languages, and the basic need to communicate in a globalizing continent with disappearing borders, how can Europeans address the very real challenge of linguistic diversity? So far, efforts by the EU and the Council of Europe have been ambitious. Brussels’ “Barcelona objective” has as its goal every European speaking two other languages in addition to his or her mother tongue (“M+2”), to help reach economic, social and political objectives in an increasingly borderless EU. Both the EU and CoE believe not only in the inherent value of multilingualism, but its importance for cross-border administrative cooperation, as well as job opportunity and mobility in the Single Market. Thus, these supranational bodies have taken steps to protect and promote Europe’s rich linguistic heritage, built mostly on the ideas within the CoE’s European Charter for Regional or Minority Languages. Diversity is seen as both a challenge and an asset, and the growing dominance of English as the foreign language has led policymakers to encourage multilingualism in an intentional way. While decisions on language use in schools and public institutions still rest with the state, supranational bodies have done what they do best: provide frameworks, encourage dialogue, and develop resources to reach the goal of “M+2”. While Europe’s linguistic future remains unsure, one thing is certain: a borderless EU does not have to mean a monolingual EU. Indeed, those of us who appreciate the richness that language inherently adds to culture should hope not. Adam Heinz is a second year student in the Master of Arts in European Union Studies program at the University of Illinois. He received his Bachelor’s degree in Political Science and Spanish from the University of Illinois in 2010. He has studied abroad in Granada, Spain and Lisbon, Portugal. In 2010-2011 Adam received a Foreign Language and Area Studies (FLAS) fellowship to study Portuguese. He also was a 2009-2010 Illinois General Assembly General Scholarship recipient. Currently, Adam is working as a Graduate Assistant for the European Union Center. His research interests include the linguistic-economic relationship at the border of Spain and Portugal as a result of EU initiatives. Besides an interest in travel and languages, Adam spends his free time reading, camping and writing music. Is Social Media the Missing Key in Urban Sustainability? Urban sustainability examines the role of cities in helping or achieving global environmental initiatives. On October 21, 2011, Julie Cidell, a Professor in the Department of Geography at the University of Illinois at Urbana-Champaign, discussed urban sustainability and the European Union. Cidell stressed that what drives cities to commit to charters involving sustainable development, such as the Aalborg Charter or Agenda 21, comes from internal sources such as local politics, private industries, economic resources, and personal interactions between people and their neighbors. While politics and economics play a large role in sustainable development, it seems as though the power of social media is sometimes discounted as a necessary vehicle in achieving local or even national environmental goals. Some of the best results in environmental social media come from crowdsourcing where large groups of undefined people are contacted to perform a specific task or collect information. For instance, in March 2011, the Smithsonian utilized crowdsourcing by posting a request on their Facebook page for specialists to identify 5,000 freshly collected fish specimens from Guyana for export paperwork. In 24 hours, 90% were partially or completely answered by ichthyologists. Although this is a very specific example for a specific purpose, it just shows how companies, organizations, and individuals can call upon people using social media tools to solve problems, provide information, or complete tasks. Beyond crowdsourcing, social media can effectively provide information to the public. Meatless Monday is a campaign that has provided information about the effects on personal health and environmental sustainability when a person has a meat free Monday. Simply informing a person that if they eat meat one less day a week they would reduce their carbon footprint, minimize water usage, and help reduce fossil fuel dependence, has helped people make more informed decisions in their daily life. The US division of Meatless Monday on Twitter has 12,314 followers. On Facebook, 21,532 “like” Meatless Monday. Providing the public with simple, doable tasks they can accomplish in their everyday life while contributing something to society has the opportunity to create change in not only locally, but also globally. The local-to-global impact is most successfully achieved through social media. For instance, Greenpeace, the largest independent direct-action environmental organization in the world, took to their Twitter and Facebook sites to expose Mattel’s sourcing of packaging materials from endangered Indonesian rainforests. The effect? “The resulting influx of hundreds comments [sic.] on Barbie’s Facebook page caused Mattel to shut off comments for days and delete any mention of rainforests. Within days, almost 200,000 e-mails complaining about producing toy packaging from rainforest materials were sent to Mattel’s offices, according to Greenpeace…After initially referring to Greenpeace’s campaign as ‘an inflammatory approach’, Mattel published a press release stating that the toy company has instructed its suppliers to no longer source from APP. Mattel also publicised that it will develop a sustainability policy which will require suppliers to commit to sustainable forestry management practices” (Source). By simply providing information, Greenpeace allowed individuals to voice their concern and take action, which resulted in change. Social media is a critical aspect of urban sustainability through which cities can not only reexamine, but implement and change global environmental initiatives. GreenpeaceEU – Challenges and exposes EU policies and promotes solutions on the environment, climate change, energy, fisheries, agriculture, chemicals, forests, transparency, etc. GreensEP – The Green political family in the European Parliament. EPAIreland – The Environmental Protection Agency Ireland protects the environment through its licensing, enforcement and monitoring activities. LIFE_Programme – The LIFE programme is the EU’s funding instrument for the environment. CHedegaardEU – Connie Hedegaard is the EU Commissioner for Climate Action. IUCN – The world’s oldest and largest global environmental network – a democratic membership union with more than 1,000 government and NGO member organizations. Green_Europe – The European Environmental Bureau: Europe’s largest federation of green NGOs. Foeeurope – Friends of the Earth folk in Brussels, representing people and planet, and campaigning for sustainable and just societies and the protection of the environment. Alexandra Lively is a first-year MA student in European Union Studies and an EU Center FLAS fellow. She received her Bachelor’s degree in Advertising at UIUC, with a double minor in Business and Communications. She graduated with High Honors and as an Edmund J. James Scholar. Her research interests include telecommunications, consumerism and trade within the EU. On November 11, Professor David Bullock delivered a lecture entitled "Comparing Agricultural Policy in the EU and US" as part of the EUC's Fall Lecture Series. You can watch his full lecture below or by clicking here. David S. Bullock is a professor of Agriculture, Consumer, and Environmental Sciences and European Union Center affiliated faculty member at the University of Illinois, Urbana-Champaign. His research interests include political economy of agricultural policy, applied welfare economics, and the economics of technological change. On October 28, as part of the Austria-Illinois Exchange Program's Change Through Exchange Conference, noted Austrian author Josef Haslinger delivered a lecture entitled "Narrating Integration: One Story at a Time." After an introduction by Carl Niekerk, Head of the Department of Germanic Languages and Literatures at the University of Illinois, the presentation included a documentary film by Haslinger entitled "Nachtasyl: Heimat der Heimatlosen" (Night Asylum: Home for the Homeless), followed by Haslinger's lecture. You can view the lecture below or by clicking here. Don't forget to check out Haslinger's documentary (in German, only!) at the link provided below. Watch Nachtasyl: Heimat der Heimatlosen. 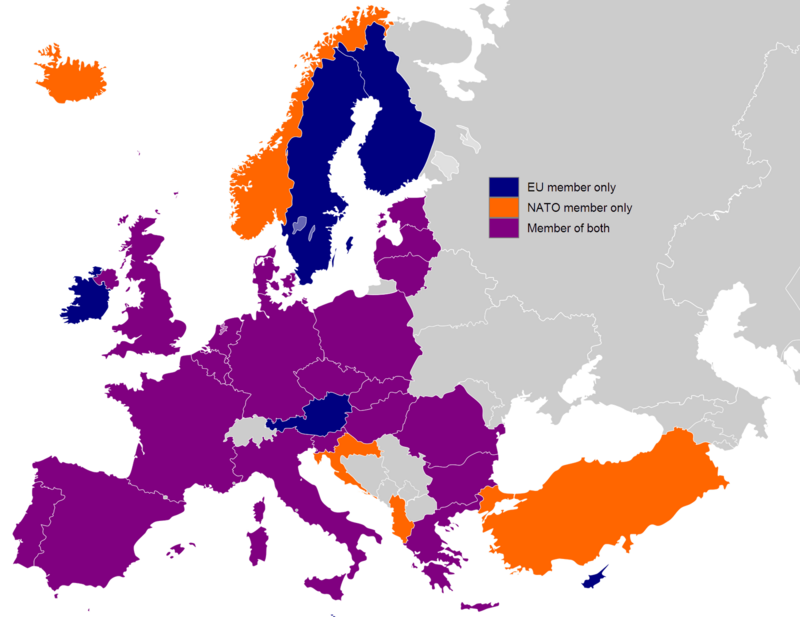 The European Union and NATO are the most important international organizations to emerge in Europe after World War II. Established barely two years apart, both endeavored to prevent another war, but went about that goal in different ways. While the European Coal and Steel Community, the foundation of the EU, focused on economic integration, NATO concentrated on integrating American and European militaries to better defend against the Soviet threat. As the EU has grown far beyond a simple coal and steel regulator, the areas of responsibility of these organizations have increasingly begun to overlap. As Professor Paul F. Diehl noted, 50 years ago the idea that the EU would be playing any significant role in the security field would have been quite hard to believe. Yet, in a study of all peace operations between 1947 and 2009, Alexandru Balas (p. 407) found that the EU has in fact carried out nearly double the missions of NATO (23 vs 12). Moreover, Balas notes that the EU rarely works in tandem with NATO—and often when it does, “cooperation” amounts to the EU taking over a formerly NATO-led operation (for instance, the EU replacing NATO-led forces in Bosnia in December 2004). This lack of cooperation seems quite surprising. 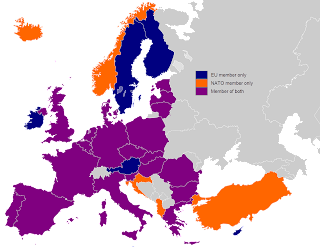 After all, the membership of the two organizations overlaps considerably: 21 of the 27 EU member-states are NATO members (including the 13 largest EU member-states), and, other than the US, Canada, and Norway, all NATO members are either EU member-states, candidates for EU accession, or on the EU enlargement agenda. The most often cited explanation for EU-NATO deadlock is Greece and Turkey's longstanding rivalry, particularly over the divided island of Cyprus. Both are members of NATO, but only Greece is an EU member-state. Following the EU's admittance of the Republic of Cyprus in 2004, Turkey, which occupies northern Cyprus, has prevented high-level formal meetings between NATO and the EU. Clearly, the division of Cyprus is a major problem, but is the primary obstacle to EU-NATO cooperation really a dispute over a Mediterranean island? A 2008 Congressional Research Service report on EU-NATO relations suggested that problematic EU-NATO relations comes in part from questions about the future of the European Security and Defense Policy (p. 23). While the report notes that successive US Administrations have supported the ESDP, whose development might allow America's allies to operate more effectively with US forces and shoulder a greater proportion of the mutual security burden, there are those who remain concerned that some EU member-states might press for more autonomous EU institutions that would rival NATO's structures, leading to EU-NATO competition and weakening the transatlantic security guarantee (p. 23). In other words, for all the bluster Cyprus is not the core problem. As such, while I think Professor Diehl is absolutely right that EU-NATO synergy in peacekeeping would work rather well, I doubt that we will see much effective cooperation until we have resolved the fundamental question of what sort of role NATO should play beside an increasingly state-like EU. Michael Slana is a political science graduate student in the Civic Leadership Program at the University of Illinois. He completed his bachelor’s degree with a major in political science and a minor in history. During his freshman, sophomore, and junior years he interned for Champaign County State Senator Michael Frerichs, with responsibilities including constituent service and correspondence. In spring 2009 Michael studied in Austria as a participant in the Vienna Diplomatic Program, where he developed a strong interest in European and Transatlantic politics. During his junior year Michael began contributing to research on the impact of natural disasters on societal stability through a class at the Cline Center, and has continued this work first as an hourly research employee and later as part of a graduate assistantship. To fulfill his Civic Leadership Program residency requirement, Michael completed an internship in spring 2011 with the US State Department’s Mission to the European Union in Brussels, Belgium. On November 1, Dr. Vedran Dzihic delivered a lecture entitled "Looming Crisis of Democracy: Lessons from Two Decades of Post-Yugoslav Democratization" as part of the EU Center Jean Monnet Module on “Europe and the Mediterranean: Transnational Spaces and Integration”, funded by the European Union. The talk focused on the past and the present of democracy in the countries of the Former Yugoslavia. It began with the history of the democratic idea in the Socialist Yugoslavia; continued with a brief discussion of the impact of ethno-nationalist mass mobilization, authoritarian regimes and the wars in the 90s on the notion of democracy; and concluded with an analysis of the post-conflict democratization processes and the recently emerging phenomenon of post-democratic tendencies and democracy fatigue in the region, even before democracy has become "the only game in town." To listen to a podcast of the lecture, click the link below, courtesy of Daniel Antonacci. Listen to Vedran Dzihic's lecture, "Looming Crisis of Democracy: Lessons from Two Decades of Post-Yugoslav Democratization." Dr. Vedran Dzihic is an Austrian Marshall Plan Foundation Fellow at the Center for Transatlantic Relations, School of Advanced International Studies, John Hopkins University. His research project focuses on Limits of Democratization and Europeanization posed by ethno-national politics in the case of the Western Balkans. In addition to authoring 4 monographs, Dr. Dzihic has been senior researcher and Chief of Party of the project Transformation and Democratization of the Balkans POTREBA” (www.univie.ac.at/potreba) since 2008. 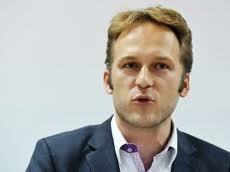 He is co-leader of a project funded by the Austrian National Bank dealing with the state of democracy in Serbia. Since 2005, he has been the Director of European Think-Tank CEIS (Center for European Integration Strategies), Geneva-Sarajevo-Vienna. Different cultures have different peacekeeping approaches and traditions. This becomes particularly relevant and obvious in an analysis of the EU and their peacekeeping activities within the frameworks of multiple organizations concerned with the matter—OSCE, NATO, EU, UN, AU, OIC, just to mention a few out of the acronym jungle—that all have a more or less longstanding and successful tradition in conflict management and peacebuilding activities. (John S. Duffield provides in his chapter on “regional conflict management in Europe” an excellent introductory overview on these organizations, their history, and tasks). Although being a “newbie” in the peacekeeping game, the EU has already become a major player in the field and will continue in that status. While NATO is better equipped for military actions, the EU excels in diplomatic actions and in dealing with regional governments. Meanwhile, the UN is a leading player in peace operations due to its elaborate infrastructure and historically rooted traditions. But the EU has even more missions than NATO, which seems surprising given NATO’s military strength and power. However, the level of cooperation among these organizations varies for different reasons. Paul F. Diehl mentioned one very interesting example in his lecture “EU and Peacekeeping” delivered on 30 September 2011 for the European Union Center at the University of Illinois. Referring to Alexandru Balas, who examined the concept of these multiple simultaneous peace operations, Diehl concluded that the EU shows the greatest level of cooperation with the UN whereas the level of cooperation with NATO and the OSCE is not as high as one would expect. Often enough, there are diplomatic reasons due to the distribution of member states of the respective organizations. Since the EU only includes Greece, and NATO includes Greece and Turkey, a consensus on cooperation decisions is difficult to achieve, for example. But I also assume other reasons influence the participation and cooperation of the EU in peacekeeping activities. As mentioned in my introduction, there are different cultural traditions and approaches to peacekeeping. One very important difference in European and US perceptions of conflict and war might be the different experiences of the respective populations during the world wars of the twentieth century. Public opinion on peacekeeping and/or military actions has always influenced decision-makers. While Europeans were directly exposed to WWI and WWII on their native soil, the population of the US was mainly spared the fighting within its own borders. The images of fights in their homelands and cities in ruins naturally left marks in the European collective memory. Consequently, public support for military action is also more difficult to guarantee on a large scale. At the end of the day, the close collaboration between different organizations concerned with maintaining international peace and security seems more important than ever. Conflict potential is increasing and for political, economic, but most of all humanitarian reasons, we need to benefit from each organization`s specific strengths and its related cultural assets during this process. Diplomatic know-how, institutional and military resources all have to be combined to achieve the common goal of peace. On October 13, 2011, the Graduate College at the University of Illinois, Urbana-Champaign, hosted the Clean Energy Education workshop, co-sponsored by the European Union Center. The workshop strove to answer the question, “What are the crucial elements in a national program of clean energy education, and what are the best practices that such a program should adopt?” Bringing together key perspectives on the transition to clean energy, the day-long event strove to provide information to decision-makers about the education programs that would provide the most added-value to the progress of the nation. Among the discussions comprising the workshop was a talk entitled "EU Perspectives," by Juergen Scheffran, Professor of Climate Change and Security, Institute of Geography and KlimaCampus, University of Hamburg, Germany. You can view the discussion below, or by clicking here. Interested in learning more? Eight more talks are available on the Clean Energy Education website. William Bernhard, an EUC-affiliated faculty member, discusses the EU's economic crisis, contrasting the situation in Europe with that in the United States and exploring the implications of the crisis on EU politics and strength. The full interview is posted below. Editor's note: Every day seems to bring new headlines in the European Union's sovereign debt crisis. A potential default by Greece had put that country at center stage, but the spotlight recently shifted quickly to Italy. Both countries' leaders are in the process of stepping down as a result. EU leaders have developed plans for a financial 'firewall' to contain the problem, but details and funding have remained uncertain. William Bernhard is the head of the political science department at the University of Illinois and is an expert on central banking and the link between politics and markets in the European Union. Bernhard was interviewed by News Bureau social sciences editor Craig Chamberlain. Of the 27 EU countries, 17 use the euro as common currency and so are tied together in the eurozone. News reports suggest that a default by Greece ' and even more so Italy ' could bring down the entire eurozone system. Why and how would this happen? How does a relatively small nation like Greece pose such a threat? Global financial markets are so integrated that a Greek default would spill over to other countries ' what financial economists call 'contagion.' Banks from across Europe hold Greek debt. That debt represents part of the banks' assets ' returns that the banks have been counting on. In the most recent bailout agreement, the banks accepted that they would have to take a significant loss on those assets, a 'haircut' in financial jargon. That leaves the banks in a precarious position, making it more difficult for them to lend to the private sector or to purchase government debt from other countries. As a result, other countries will be affected. Less lending will prolong the economic slump in Europe and the world. Governments in high-deficit countries, such as Italy, which count on borrowing to pay their bills, will have a more difficult time finding banks to purchase their debt. In a worst-case scenario, some of these large banks may go under, which could precipitate a significant banking crisis and even the collapse of the single currency. Austerity measures in Greece, required for it to obtain bailout funds, have produced massive street protests, along with complaints these measures are destroying the Greek economy. Just how severe are these measures? And is there no alternative? The austerity measures require cutting social spending, chopping public employment and raising taxes. These are significant policy changes that require Greeks to rethink their relationship between the market, government and citizens. For a long time, the Greek government has provided for many citizens, insulating them from the risk and volatility of global markets. The government will no longer be able to do that. The response of the Greek people is not surprising ' they had been counting on those policies for their quality of life. Here at home, think about the controversies generated by proposals to change social security or the pension system in Illinois ' the beneficiaries of those policies have made plans assuming certain policies would be in place. It would be traumatic to pull the rug out from them. Interestingly, polls suggest that Greek citizens detest the austerity requirements of the recent bailout agreement, but want to remain within the eurozone ' a very difficult circle to square. These conflicting attitudes create credibility issues with markets, which question whether the Greek government will actually have the will to follow through on their commitments. In turn, Greek politicians have been searching for ways to convince markets and other EU leaders that they are serious. Comparing the U.S. and the EU, what makes the situation in Europe so difficult? In the U.S., we have a strong federal government with relatively clear political accountability. It doesn't seem like it sometimes, but we know who's in charge. We've got a nationally elected president, who's presumably concerned with the welfare of the country as a whole. We've got two parties that span all 50 states. Between the president and the parties, there are incentives for politicians to think about the economy as a whole. Moreover, the federal government has an authority and an ability to act. In the EU, the policymaking process is more diffuse. It's not entirely clear who's in charge, who's accountable for the economic performance of Europe as a whole. The Council of Ministers, which includes representatives from each of the member states, is the main policy body. But think about if the 50 state governors in the U.S. got together to negotiate over national policy. What would that be like? It would be a mess, because each one would be concerned about what's going on in their state rather than what's going on with the whole. In the EU, there's more of a collective-action problem when it comes to thinking about the crisis. You see this in Germany. It's going to have to come through in some way financially as part of the solution to this crisis, and a lot of German politicians say, 'not our problem, it's not good for us, we've taken care of ourselves.' The EU doesn't have the institutional accountability or ability to think about the whole ' that's a big difference. Are there other factors at work? In the U.S. there are some adjustment mechanisms that kick in that help level out some of the differences in economic performance between different regions. One of those involves the transfer of funds through the federal government. If Texas is booming, it's going to send more tax receipts to Washington (D.C.). Then Washington, almost automatically ' through unemployment insurance, welfare spending and a variety of different things ' is going to spend that money in Michigan, where the economy is struggling. In the EU, there is no equivalent mechanism. When the EU countries need to think about how to pick up Greece, they have to come up with an explicit agreement to make these transfers. Because it happens automatically here in the U.S., it eases the adjustment. A second means of adjustment that we have in the U.S. is labor migration. When the economy is bad in California, for instance, you can pick up and move to North Dakota, where the economy is going pretty well. There are minimal barriers to doing that. It's very easy to move. In Europe, they don't have that same sort of labor mobility. Someone in Greece cannot pick up and easily go work in Finland, because they don't speak the language, and the cultural differences are larger as well. Some have talked over the years about the EU moving toward becoming more of a 'United States of Europe,' with greater integration of financial and tax policies. Could that happen as a result of this crisis? With the establishment of the euro, people talked about the very scenario that we're seeing. Member states with more balanced fiscal positions, such as Germany and the Netherlands, were concerned that they would get stuck paying the bills of the high-debt countries. Things had gone smoothly, however, until the global financial crisis brought it to the fore. How could this crisis result in a stronger Europe? Member states may agree that the EU needs more authority over national-level fiscal policies ' that is, taxing and spending ' to prevent this sort of crisis from ever happening again. That would be a big step toward political integration, as decisions about taxation, government spending, and representation are at the heart of any democratic government. On the other hand, this crisis could still end with some countries leaving the eurozone and returning to a national-level currency. That scenario would mean a very different future for European integration, perhaps one involving different levels of membership in the European Union. Editor's note: To contact William Bernhard, call 217-333-2602; e-mail bernhard@illinois.edu. "Agenda 21: Culture, Today, Tomorrow"
The encouraged participation of women, youth, NGOs, farmers, and businesses in aspects of European Union policy making seems unheard of in many areas of politics. The situation with environmental initiatives, however, is a different one. Agenda 21 is the United Nations’ plan for sustainable development. Subsections of Agenda 21 are devoted to changing consumption patterns, promoting health, protecting the environment, and increasing participation of individuals in environmental decision making. European Union countries a a re signatories of the action plan and play a key role in insuring its policies are enacted at the national and local levels. In scientific and political debates, sustainable development has emerged as a policy area that cannot be imposed at the supranational level of government. 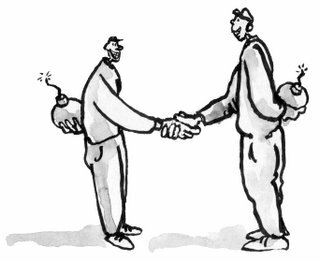 Instead, scholars argue, polluters need “to pay”, seeing themselves as both the problem and solution (Annika Agger, “Involving citizens in sustainable development: evidence of new forms of participation in the Danish Agenda 21 schemes,” Local Environment, 2010:15(6), 541-552). With the creation of Agenda 21 in 1992, policy makers strived to be inclusive, incorporating a more innovative and participatory approach to sustainable development. Sustainability is not just for elites. Despite fundamental differences in the GDP of European Union countries, conservation can and must be practiced by all. Historically, Scandinavian countries have taken the lead in implementing Agenda 21 initiatives as they posses the required administrative capacity at the local and regional levels (Agger, 2010). When analyzing the different sections of Agenda 21, it is evident that the plan encourages a wide variety of governmental and local activities involving an abundance of research and technology. Scandinavian countries not only have greater institutional capability than, say, their southern European counterparts; they also have better financial resources to build on policies in place. How are Mediterranean countries, with a lower GDP and fewer funds for research, able to comply with the requirements? In this situation, the role of the community becomes increasingly important. Despite a county’s financial situation, the wide variety of initiatives proposed by Agenda 21 allows governments to capitalize on their current strengths. For instance, Italy’s devotion to Agenda 21 initiatives has been recognized at the European level. While Italy has more financial resources at the provincial rather than the local level, local community officials have utilized existing management tools and the involvement of local environmental stakeholders. In a study of Italy’s participation in Agenda 21, 82% of participants said the main achievement of Agenda 21 was greater information sharing pertaining to environmental initiatives a nd 31% reported greater participation in the decision making process (Walter Sancassiani, “Local Agenda 21 in Italy: an effective governance tool for facilitating local communities’ participation and promoting capacity building for sustainability,” Local Environment, 2005:10(2), 189-200). Participatory techniques such as European Awareness and Scenario Workshops (EASW) encourage dialog and promote awareness of the world’s most pressing environmental issues and corresponding solutions. Programs aimed at increasing youth involvement in decision making, such as the ­­­­­­Child Friendly Cities (CFC) initiative, have received positive feedback as well. When surveyed about their experience, Italian children across 12 cities reported gratification in demonstrating their autonomy in environmental planning initiatives, exercising their rights, and involvement in the decision making process (Marco Corsi, “The child friendly cities initiative in Italy,” Environment and Urbanization, 2002:14(2), 169-180). Although some politicians feel Agenda 21 impinges on sovereignty by controlling too many aspects of everyday life, its impact on environmental discourse within communities is noteworthy. Clearly, this initiative has something to offer to everyone. Whether it consists of prestigious research projects to further technological advancement or local level dialogs about waste conservation, the future for local participation in Agenda 21 initiatives seems bright. Allyce Husband is a first-year student in the Master of Arts in European Union Studies program at the University of Illinois. She received her Bachelor’s degree in Communication and Psychology from the University of Illinois in 2011. As an undergraduate, Allyce studied abroad in Florence, Italy. She was awarded a Foreign Language and Area Studies (FLAS) Fellowship for 2011-2012 to continue studying Italian as a graduate student. She plans to research immigration issues in the European Union. On October 11th, 2011, Professor Gilles Cuniberti from the University of Luxembourg gave a talk on the controversial French legislation prohibiting the public use of the burqa, the full-body covering used by some Muslim women that also hides the face. The lecture, “The French Law against Face Covering and the Burqa”, drew a very straightforward picture of a decidedly complicated issue. This is not to say that it was not a worthwhile talk—Cuniberti did an excellent job describing the French case and the rationale behind it. Both sides of the argument are interesting, to say the least. On one hand are the law’s opponents, labeling the ban an infringement upon civil rights and a direct affront to the Muslim religion. On the other are those who call the full concealment offered by the burqa a threat to public security. It is noteworthy that the same reasoning is employed to support both sides of the debate. For instance, in support of the ban, Dutch Immigration Minister Rita Verdonk claimed, “It is very important that we can see each other and can communicate with each other. Because we are so tolerant we want to respect each other”. However, in the midst of the French parliament’s attempt to pass the bill, British Immigration Minister Damian Green used the exact same rationale to oppose the ban. He declared that trying to pass such a law in the UK would be directly in conflict to the UK’s “tolerant and mutually respectful society”. When glancing through the headlines, it is clear that different decisionmakers espouse different reasons to support or reject such a law. Therefore, the most intriguing part of Cuniberti’s lecture was when he described the French rationale behind the ban, which was very different from the Dutch and British logic. In secular France, people are expected to be French citizens first, and members of any given community—be it religious, cultural, racial, or otherwise—only second. This stands in almost complete contrast to the U.S. tradition, where it is presupposed that the communities with which you align become your defining feature: “I’m a Republican”, “an African American”, “a Catholic”, etc. In America, few identify themselves first as “Americans”. Even with the simplest questions, such as, “What are you?”, I’ll typically respond, “Well, I’m 25% German, 25% Italian, some Polish, Irish, a little Native American on my mom’s side…”. I don’t know that I’ve ever identified myself as an “American citizen”, unless I was outside of the country. So I wonder whether the French tradition can be maintained in Europe’s present state. Does what is stated in French law accurately describe what occurs in practice on the streets of Paris? Yes, school-age students of La Republique may be encouraged to be citizens first, but I doubt whether that is the case for many today. The Single Market has done much to spread different religious, ethnic and cultural groups around the EU, bringing many to France. As these immigrants continue to settle in and have children, it would appear to be more and more difficult to identify oneself as “French” above all: much like in the U.S., one would expect that the heritage and political communities to which people belong will become their most salient features. The European Union’s peacebuilding operations have grown substantially in the past 20 years. Historically addressed by the United Nations, peacekeeping limits the potential of armed conflict and promotes an environment for negotiation. The collaborative and purposeful implementation of multiple simultaneous peace operations (MSPOs) by the EU with other intergovernmental organizations (IGOs) ensures stronger cooperation and complementary activities that more efficiently lead to the stabilization of a particular region. Dr. Paul F. Diehl, a Professor in Political Science at the University of Illinois at Urbana-Champaign, argues that the EU is relatively new to peacekeeping, but already a strong player. The EU will continue to participate in this new role of collaboration with other IGOs, rather than going off on its own. Diehl asserts that without peace you cannot further integrate and have growing economic commitment. Moving ahead is impossible without some type of security features. Currently, the EU concentrates peace operations in Africa and the Middle East. This is not only because more conflict exists in these areas, but also because logistically it is closer to home where there are more colonial ties. Diehl argues that possible explanations for collaboration with other IGOs are the need to share resources and burdens, comparative advantages gained through cooperation, and desire to spread the reputational costs of failure. Comparative advantages allow IGOs to do tasks that they specialize in, while the spread of the reputational costs of failure allow multiple actors to share the political risks and blame when aspects of the mission do not go well. Of the MSPOs in which it has engaged, the EU has cooperated with the UN more than any other IGO. Some factors explaining this depth of coordination come from the aspects of learning, common security cultures, and personal staff connections. Once the EU has worked with an organization, such as the UN, it makes cooperation and collaboration easier the next time around. Also, Diehl states that IGOs cooperate with those “like them.” This is also reflected in greater cooperation of staff not necessarily on the macro level, but on the ground level. Further information about the peacekeeping alliance of the EU with the UN can be found at EU@UN. However, it is interesting to note that the EU has little MSPOs with the African Union (AU) and NATO. Peace operations in Africa are generally done in cooperation with the UN and very little with the AU. Diehl asserts that little cooperation with NATO occurs because of the Greece-Turkey rivalry and inter-organizational competition. Regardless of competition and rivalry, it is beneficial for the EU to work in collaboration with other peacekeeping agencies due to the same factors cited above – sharing of resources and burdens, comparative advantages gained through cooperation, and desire to spread the reputational costs of failure. It is common for multiple agencies to deploy peace operations in the same conflicts, at the same time, with no collaboration. This situation is counterproductive to achieving the best possible outcome. The European Union would benefit from the continued growth of multiple simultaneous peace operations to stabilize war-torn regions more effectively by limiting armed conflict and promoting an environment for negotiation. Despite economic concerns that are resonating throughout the world, the European Union continues to represent itself as a power on the world stage and has proved that cooperation in policy coordination can produce significant benefits. When countries are compelled to unite to fix problems with global implications, the model of the EU demonstrates that cooperation and coordination centered on a common goal is not an impossible feat. Although social policies might be better coordinated at the national level, environmental policy, specifically initiatives pertaining to climate change and the atmosphere, are global problems that can and need to be addressed collectively. The Kyoto Protocol, ratified by the European Union in 2002, is an attempt at global coordination to strengthen the reduction of greenhouse gas emissions and combat climate change. According to the United Nations Framework Convention on Climate Change (UNFCCC), the Kyoto Protocol is an international agreement that sets legally binding objectives to reduce greenhouse gas emissions. Factories, automobiles, and the sheer number of individuals (over a half-billion people) make the EU a significant contributor to greenhouse gas emissions and a part of the problem. There are clear benefits for countries that have ratified this treaty. In addition to representing a collective global response in support of climate control, the agreement encourages cross-cultural cooperation and fosters a sense of responsibility between the ratifying countries and their counterparts. It only makes sense that the United States should want to be a part of this global opportunity, given its apparent concern about the environment, commitment to cooperation, and efforts to spearhead research and technology. Critics of the United States’ lack of commitment to the protocol say the US is irresponsible for revoking its participation (the US signed the agreement but never ratified it). Although US hesitation is rooted in the potential for negative economic effects as well as the absence of compliance from developing countries, making polluters “pay” by cooperating with global emission regulations would silence critics who claim the US is not bearing its share of the burden. The US Energy Information Administration (EIA) performs comparative assessments of environmental impact. According to the EIA, the United States has the highest per capita emission in the world of carbon dioxide, which is a greenhouse gas that the Kyoto Protocol aims to decrease. If the US is an environmental liability, then why doesn’t it join in the initiative? From 2008-2009, the US was successful in decreasing greenhouse gas emissions by 7%. EU member states also experienced decreases under Kyoto Protocol regulations. Are US policies sustainable enough to merit its lack of cooperation with the EU and rest of the world? Although international actors, institutions, and individuals are focused on the United States’ “failure”, critics of Kyoto might point to what the US Environmental Protection Agency (EPA) or the US Government can currently do independent of the internationally binding agreement. Following its withdrawal of commitment from Kyoto, the United States pledged to cut greenhouse gas emissions using their own approach. In a time when it’s essential to understand the effects of globalization and to cooperate in the management of the use of the world’s resources, it is imperative for the US to collaborate on a much larger scale rather than place confidence in national level policies that could easily change with new leadership. From the EU and US perspective, the protocol has both positive and negative aspects. The answer might not be Kyoto; however, global cooperation is key in environmental protection.